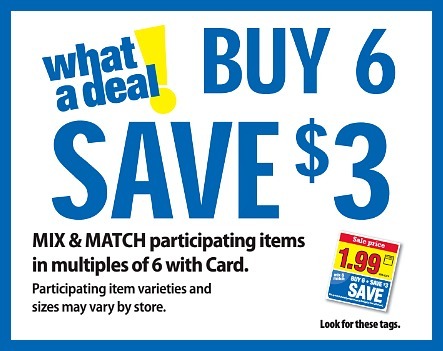 Here is the HUGE inclusion list for the upcoming Mix & Match Buy 6, Save $3 Mega sale that starts on Wednesday, 1/23 and runs through Tuesday 2/5. With this sale you will instantly save $3 at checkout when you buy any 6 participating items. If you find any other matching coupons or if you find a coupon that doesn’t match, let me know and I will get it added or fixed as soon as possible. I will be updating the list on Wednesday when the sale starts and the tags are up! As usual the price listed is AFTER mega savings. As I mention above, this is a big sale so be sure to click “Read More” to see all the deals! –$1/1 64 oz. Bottle of Ocean Spray Pink Cranberry Juice Cocktail.